Elevated blood pressure as young as age 18 is a warning sign of cardiovascular disease developing later in life and the time to begin prevention, according to a large national Northwestern Medicine study. That’s decades earlier than clinicians and patients generally start thinking about heart disease risk. The study also found distinct blood pressure patterns from ages 18 to 55 that reveal people at high risk for calcification of coronary arteries – a marker for heart disease – by middle age. Also known as hardening of the arteries, these calcium deposits can narrow coronary arteries and increase heart attack risk. The 25-year study is the first to identify different long-term patterns of blood pressure levels and resulting cardiovascular risk. 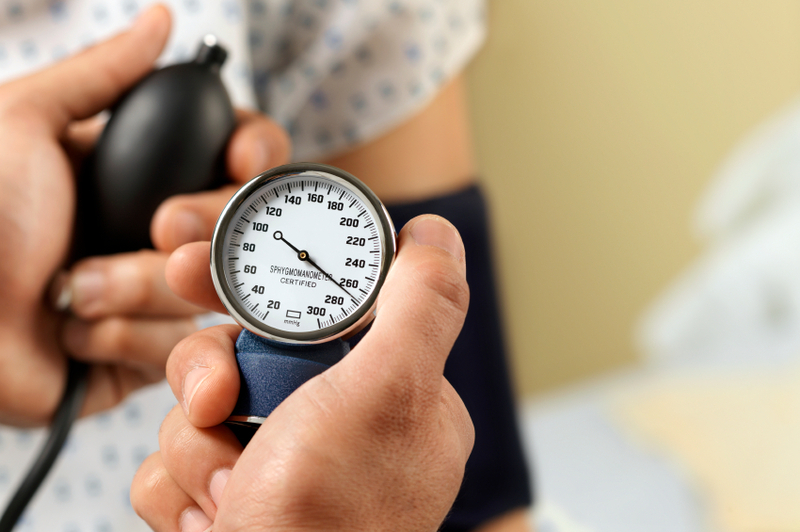 More than 33 percent of U.S. adults have hypertension. Currently, the clinical approach is to evaluate blood pressure risk in middle or older age and not consider how it may have changed or increased with age. The paper was published Feb. 4 in the Journal of the American Medical Association. Tracking the long-term patterns in blood pressure starting in young adulthood will more accurately identify individuals at risk for heart disease. It also will enable earlier and more effective prevention, scientists said. The study used data from 4,681 participants in the Coronary Artery Risk Development in Young Adults Study from baseline years 1985-1986 through 25 years of follow-up. The participants (black and white men and women) were 18 to 25 years old when the study began and from four urban sites including Chicago, Birmingham, Minneapolis and Oakland. The highest risk group had elevated blood pressure compared to their peers at age 18, but it was still within the range considered normal; this tended to develop into hypertension by middle age. They were four times more likely to have coronary artery calcification. Groups with elevated or increasing blood pressure were at the highest risk for developing calcification of coronary arteries. The study also found African Americans and smokers were more likely to experience rapid increases in blood pressure during middle age, placing them at higher risk of heart disease. Other Feinberg authors on the paper are Juned Siddique, PhD; John Wilkins, MD, and Kiang Liu, PhD. The research was supported by the following grants from the National Heart, Lung and Blood Institute at the National Institutes of Health: HHSN268201300025C, HHSN268201300026C, HHSN268201300027C, HHSN268201300028C, HHSN268201300029C, HHSN268200900041C.